Click on a topic below to go to that section in the Articles of Faith. A Church is a congregation of regenerated men and women, publicly professing faith in Christ Jesus, and being regularly baptized by immersion, who have covenanted to meet together, having given themselves up to one another in the Lord, to be governed by his Word, and to be guided by a regular and proper discipline, agreeably to the Holy Scriptures. "Articles of Faith are not held to be essential to the existence of a church, but are of much importance to its order and stability." With the purpose in view of supplying all who desire to have at hand a statement of the Articles of Faith and Rules of Decorum of the Primitive Predestinarian Baptist churches, I have compiled this pamphlet. I have before me copies of the Articles of Faith of a great many Primitive Baptist churches, and have tried to include in this the essential points found in them. While some difference is to be found in the expressions of sepa­rate churches, yet there is agreement upon the points included in this statement. A wider field is taken with regard to the Rules of Decorum in the separate churches, and no attempt has been made to more than cover the points of general interest. These pamphlets may be made of practical use by the churches passing on them as a body, and noting such changes, if any, as would be necessary to suit the church, and then furnish all the members with them, thus putting into the hands of each member its Articles of Faith and Rules of Decorum. Forasmuch as Almighty God by his grace has been pleased to call us out of darkness into his light, and having been baptized upon a profession of our faith in Christ Jesus, and having given ourselves to the Lord and one another, in a gospel church way, to be governed and guided by a proper discipline agreeable to the word of God; we do covenant together by the help of God to keep up the discipline of the church of which we are members in brotherly affection toward each other, to watch over one another, and, if need be, in the most tender and affectionate manner to reprove one another, and not to be whispering and backbiting. 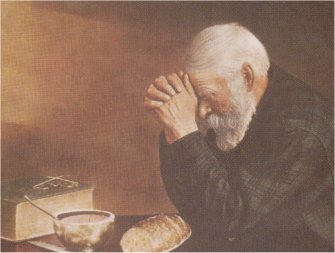 We also agree with God's assistance to attend our church meetings, and not absent ourselves from the communion of the Lord's Supper without a lawful excuse; to be ready to communicate to the defraying of the church's expenses, and for the help of the ministry; not to irregularly depart from the fellowship of the church, nor to remove to the bounds of distant churches without a regular Letter of Dismission and placing it in the church where we reside. These things we do covenant and agree to observe and keep sacred in the name of and by the assistance of God. 1. We believe that the scriptures comprising the Old and New Testaments, as given in what is known as the King James Translation, are of divine authority, and are to be taken as the only rule of faith and practice. Deuteronomy 4:2. Ye shall not add unto the word which I command you, neither shall ye diminish aught from it, that ye may keep the commandments of the Lord your God which I command you. Hebrews 1:1-2. God who at sundry times and in divers manners spake in time past unto the fathers by the prophets, Hath in these last days spoken unto us by his Son. Romans 15:4. For whatsoever things were written aforetime were written for our learning. II Timothy 3:15-16. And that from a child thou hast known the holy scriptures, which are able to make thee wise unto salvation through faith which is in Christ Jesus. All scripture is given by inspiration of God and is profitable for doctrine, for reproof, for correction, for instruction in righteousness; that the man of God may be perfect, thoroughly furnished unto all good works. Luke 1:3-4. It seemed good to me also, having had perfect understanding of all things from the very first to write unto thee in order, most excellent Theophilus, That thou mightest know the certainty of those things, wherein thou hast been instructed. Revelation 22:18-19. For I testify unto every man that hearest the words of the prophecy of this book. If any man shall add unto these things, God shall add unto him the plagues that are written in this book: And if any man shall take away from the words of the book of this prophecy, God shall take away his part out of the book of life, and out of the holy city, and from the things which are written in this book. 2. We believe in one God, and that the Father, Son or Word, and the Holy Ghost are one God, eternal, immutable, infinite in wisdom, power, justice, holiness, mercy and truth. Deuteronomy 6:4. Hear, 0 Israel; The Lord our God is one Lord. Jeremiah 10:10. But the Lord is the true God, he is the living God, and an everlasting King. I Corinthians 8:6. But to us there is but one God, the Father, of whom are all things, and we in him; and one Lord Jesus Christ, by whom are all things, and we by him. I Timothy 2:5. For there is one God, and one Mediator between God and men, the man Christ Jesus. I Timothy 1:17. Now unto the King eternal, immortal, invisible, the only wise God, be honor and glory for ever and ever, Amen. I John 5:7. For there are three that bear record in heaven, the Father, the Word, and the Holy Ghost: and these three are one. John 1:1. In the beginning was the Word, and the Word was with God, and the Word was God. John 10:30. I and my Father are one. 3. We believe that in the transgression of Adam he fell under the condemnation of God's holy law, and that all his posterity were corrupted in him, and so are condemned in sin, and have neither will nor power to deliver themselves from this state and condemnation. Genesis 2:17. But of the tree of the knowledge of good and evil, thou shalt not eat of it; for in the day that thou eatest thereof, thou shalt surely die. Romans 5:12. Wherefore as by one man sin entered into the world and death by sin; and so death passed upon all men, for that all have sinned. Romans 5:19. For as by one man's disobedience many were made sinners, so by the obedience of one shall many be made righteous. Romans 3:9. . . .for we have before proved both Jews and Gentiles, that they are all under sin. Romans 3:23. For all have sinned, and come short of the glory of God. Ephesians 2:1. And you hath he quickened, who were dead in tres­passes and sins. 4. We believe that God chose a definite number of particular persons of the fallen posterity of Adam in Christ before the foundation of the world to salvation. The reason for this choice is wholly of grace, and is unconditional on the part of the creature. I Thessalonians 1:4. Knowing, brethren beloved, your election of God. II Thessalonians 2:13. . . .because God hath from the beginning chosen you to salvation through sanctification of the Spirit and belief of the truth. I Peter 1:2. Elect according to the foreknowledge of God the Father, through sanctification of the Spirit, unto obedience and sprinkling of the blood of Jesus Christ. II Timothy 2:19. Nevertheless the foundation of God standeth sure, having this seal, the Lord knoweth them that are his. Revelation 13:8. And all that dwell upon the earth shall worship him, whose names are not written in the book of life of the Lamb slain from the foundation of the world. 5. We believe that God has predestinated the elect unto the adoption of children by Jesus Christ according to the good pleasure of his will. Romans 8:29. For whom he did foreknow he did also predestinate to be conformed to the image of his Son, that he might be the first born among many brethren. Ephesians 3:11. According to the eternal purpose which he purposed in Christ Jesus our Lord. 6. We believe that the Lord Jesus who was set up from everlasting to be the Mediator between God and men, did in the fullness of time really and truly take upon himself a human body and nature, sin excepted, and in that body he suffered, bled and died as the surety of the elect, and in their room and stead, and for no others. Hebrews 7:15-16. And it is yet far more evident: for that after the similitude of Melchisedec there ariseth another priest Who is made, not after the law of a carnal commandment, but after the power of an endless life. Hebrews 8:3. For every high priest is ordained to offer gifts and sacrifices: wherefore it is of necessity that this man have somewhat also to offer. Galatians 4:4-5. But when the fullness of time was come, God sent forth his Son, made of a woman, made under the law, To redeem them that were under the law, that we might receive the adoption of sons. Hebrews 10:5. Wherefore when he cometh into the world, he saith, Sacrifice and offering thou wouldest not, but a body hast thou prepared me. John 17:9. I pray for them: I pray not for the world, but for them which thou hast given me; for they are thine. 7. We believe that Christ hath obtained eternal redemption for the elect, his life, suffering, blood and death constituting a complete and full atonement for their sins, and that this is the only ground of justification before God. Isaiah 53:6. But he was wounded for our transgressions, he was bruised for our iniquities: the chastisement of our peace was upon him; and with his stripes we are healed. Hebrews 9:26. . . .but now once in the end of the world hath he appeared to put away sin by the sacrifice of himself. 28. So Christ was once offered to bear the sins of many. Hebrews 10:14. For by one offering he hath perfected for ever them that are sanctified. Ephesians 1:7. In whom we have redemption through his blood, the forgiveness of sins, according to the riches of his grace. 8. We believe that being born again is not the act of man, nor does it result from what he may believe or do; but it is the work of God, who gives eternal life, thus quickening the sinner, which causes him to confess his sin, and to feel the need of a Savior. John 3:3. Jesus answered and said to him, Verily, verily, I say unto thee, Except a man be born again, he can not see the kingdom of God. John 1:13. Which were born, not of blood, nor of the will of the flesh, nor of the will of man, but of God. John 5:21. For as the Father raiseth up the dead, and quickeneth them; even so the Son quickeneth whom he will. 25. Verily, verily, I say unto you, The hour is coming and now is, when the dead shall hear the voice of the Son of God; and they that hear shall live. John 10:28. And I give unto them eternal life. II Timothy 1:9. Who hath saved us, and called us with an holy calling, not according to our works, but according to his own purpose and grace, which was given us in Christ Jesus before the world began. Ephesians 2:1. And you hath he quickened, who were dead in trespasses and sins. 9. We believe that none who are born again will fall away so as to be lost, but that they will persevere through grace to glory. John 10:28-29. And I give unto them eternal life; and they shall never perish, neither shall any man pluck them out of my hand. My Father which gave them me, is greater than all; and no man is able to pluck them out of my Father's hand. John 6:39. And this is the Father's will which hath sent me, that of all which he hath given me I should lose nothing, but should raise it up again at the last day. I Peter 1:5. Who are kept by the power of God through faith unto salvation ready to be revealed in the last time. I Peter 1:23. Being born again, not of corruptible seed, but of incorruptible, by the word of God, which liveth and abideth forever. Romans 8:30. Moreover whom he did predestinate, them he also called: and whom he called, them he also justified; and whom he justified, them he also glorified. Jeremiah 32:40. And I will make an everlasting covenant with them, to do them good; but I will put my fear in their hearts, that they shall not depart from me. 10. We believe in the resurrection of the dead, both of the just (elect) and the unjust, and that the unjust shall go away into everlasting punishment, but the righteous into life eternal. I Corinthians 15:4. And that he was buried, and that he rose again the third day according to the scriptures. 13. But if there be no resurrection of the dead, then is Christ not risen. 16. For if the dead rise not, then is not Christ raised. 51. Behold I shew you a mystery; we shall not all sleep, but we shall all be changed. I Thessalonians 4:14. For if we believe that Jesus died and rose again, even so them also which sleep in Jesus will God bring with him. Daniel 12:2. And many of them that sleep in the dust of the earth shall awake, some to everlasting life, and some to shame and everlasting contempt. 9. Who shall be punished with everlasting destruction from the pres­ence of the Lord, and from the glory of His power. Matthew 25:34. Then shall the King say unto them on his right hand, Come, ye blessed of my Father, inherit the kingdom prepared for you from the foundation of the world. 41. Then shall he say also unto them on the left hand, Depart from me ye cursed, into everlasting fire, prepared for the devil and his angels. 11. We believe that the gospel is to be preached in all the world as a statement of the truth, and as a witness of Jesus for the comfort and instruction of regenerated men and women; but deny that it is to offer grace to the unregenerate or that it asserts there is an obligation resting upon the unregenerate to believe that Jesus is their Savior. Matthew 24:14. And this gospel of the kingdom shall be preached in all the world for a witness unto all nations; and then shall the end come. Mark 16:15. And he said unto them, Go ye into all the world and preach the gospel to every creature. Acts 13:48. And when the Gentiles heard this they were glad, and glorified the word of the Lord; and as many as were ordained to eternal life believed. Romans 1:16. For I am not ashamed of the gospel of Christ: for it is the power of God unto salvation to everyone that believeth; to the Jew first and also to the Greek. II Timothy 3:16-17. All scripture is given by inspiration of God, and is profitable for doctrine, for reproof, for correction, for instruction in righteousness: That the man of God may be perfect, thoroughly furnished unto all good works. 12. We believe that good works, obedience to the commands of God, are well pleasing in his sight, and should be maintained in the church; but they are to be considered only as evidence of a gracious state, and are not a condition of salvation. Matthew 5:16. Let your light so shine before men that they may see your good works, and glorify your Father which is in heaven. Luke 17:10. So likewise ye, when ye shall have done all those things which are commanded you, say, We are unprofitable servants: we have done that which was our duty to do. Ephesians 2:8-10. For by grace are ye saved through faith; and that not of yourselves; it is the gift of God: Not of works, lest any man should boast. For we are his workmanship, created in Christ Jesus unto good works, which God hath before ordained that we should walk in them. Titus 3:8. This is a faithful saying, and these things I will that thou affirm constantly, that they which have believed in God might be careful to maintain good works. These things are good and profitable unto men. Hebrews 10:24. And let us consider one another to provoke unto love and to good works. 13. We believe that baptism and the Lord's Supper are ordinances appointed by Christ for the church, and they are to be administered only by those who are clothed with authority of the church, having been regularly ordained. Luke 22:19-20. And he took bread and gave thanks, and brake it, and gave unto them, saying, This is my body which is given for you; this do in remembrance of me. Likewise also the cup after supper, saying, This cup is the new testament in my blood, which is shed for you. There is no record of any administering the ordinances except those who were appointed for this purpose. 14. We believe that baptism is by immersion in water and is to be administered to believers only, and who give evidence of having been regenerated. Matthew 3:16. And Jesus, when he was baptized, went up straight­way out of the water. John 3:23. And John was baptising in Enon near to Salim, because there was much water there. Romans 6:4. Therefore we are buried with him by baptism into death. 15. We believe that the Lord's Supper should be observed in the church until the coming of Jesus at the end of the world, and that unleavened bread and wine should be used, of which none are to be invited to partake but members of the church and of other churches of like faith and order. Matthew 26:26-27. And as they were eating, Jesus took bread, and blessed it, and brake it, and gave it to the disciples, and said, Take eat; this is my body. And he took the cup, and gave thanks, and gave it to them, saying, Drink ye all of it. See also I Corinthians 11:23-29. Matthew 26:17. Now the first day of the feast of unleavened bread the disciples came to Jesus, saying unto him, Where wilt thou that we pre­pare for thee to eat the passover? Exodus 13:7. Unleavened bread shall be eaten seven days; and there shall no leavened bread be seen with thee, neither shall there be leaven seen with thee in all thy quarters. From above it will be seen that the bread was unleavened, for no doubt it was the same bread that was used. 16. We believe that those who give proof that they are called of God to the ministry, by edifying the church in that exercise, should be ordained by a presbytery and set apart to that work. Mark 3:14. And he ordained twelve, that they should be with him, and that he might send them forth to preach. Acts 14:23. And when they had ordained them elders in every church. I Timothy 2:7. Whereunto I am ordained a preacher, and an apostle. I Timothy 4:14. Neglect not the gift that is in thee, which was given thee by prophecy, with the laying on of the hands of the presbytery. 17. We believe that the church should choose members of its body who have the proper qualifications for the office of deacon who are to receive and disburse the funds of the church. They should be set apart to that work by ordination. Acts 6:3. Therefore, brethren, look ye out among you seven men of honest report, full of the Holy Ghost and wisdom whom we may appoint over this business. 6. Whom they set before the apostles; and when they had prayed, they laid their hands on them. See I Timothy 3:8-13 for qualifications of deacons and their wives. 18. We believe that washing the saints' feet is an example of Jesus Christ to be observed by the church. John 13:4-5. He riseth from supper, and laid aside his garments; and took a towel, and girded himself. After that he poureth water into a basin, and began to wash the disciples' feet, and to wipe them with the towel wherewith he was girded. 14-15. If I then your Lord and Master, have washed your feet, ye also ought to wash one another's feet. For I have given you an example, that ye should do as I have done to you. 1. The church shall hold at least one meeting for business each month. 2. Every business meeting shall be presided over by a moderator, who shall be chosen by the church. 3. Business meetings shall be opened by prayer. 4. It shall be the duty of the moderator to keep order; to put all motions before the church, and to announce the vote; to recognize the person who has the right to speak; to decide questions of order; he may speak on any subject being discussed by calling some one to fill his place; in case a vote is evenly divided, he shall give the deciding vote. In the absence of special rules he shall observe such rules as are commonly fol­lowed by the presiding officers of public bodies. 5. Members may appeal from the ruling of the moderator to the church. 6. The church shall choose a clerk, whose duty it shall be to keep a minute of the proceedings of the church, which shall be read and corrected before the meeting adjourns. The min­utes shall be correctly and legibly recorded in a substantial book provided by the church for that purpose, in which the clerk shall also keep a correct list of the members of the church. 7. Each person desiring to speak shall arise and address the moderator, and proceed only when recognized by the moderator. No one shall speak more than twice on anyone subject without leave of the church. 8. All questions shall be brought before the church by motion and second, and shall be decided by a majority of the members voting, except the receiving of members, granting letters of dismission, choosing a pastor, or setting apart brethren for ordination to the ministry or to the office of deacon, which shall be unanimous. 9. Offences between brethren shall be dealt with as pro­vided in Matthew 18:15, 16, 17. Members who have transgressed the rule of life for orderly Christians, or transgressed against the church, should be reproved by the deacons, and may be by any member, and should make acknowledgment before the church. The church may make investigation of reports against the members. 1st-Invite visiting brethren to seats in council. 2d-Announce the opportunity for persons to unite with the church. 3d-Call for reference from previous meetings. 4th-Take up matters touching fellowship. 5th-Opportunity given to introduce new business. 11. The deacons of the church shall make report of the funds coming into their hands at the January meeting of each year, and at such other times as the church shall require. 12. The Lord's supper shall be observed two times a year, at the regular meetings in the months of June and December. 13. The church shall make inquiry as to the cause of mem­bers continuing to absent themselves from the meetings of the church. By letters of dismission from other churches of the same faith and order. By relation-that is, by satisfying the church that the applicant had membership and good standing in a church in order, but which has ceased to meet, or for other sufficient reason can not grant letters. By restoring those who have been excluded, satisfaction having been rendered. 15. It is the duty of members to vote on all motions submitted to the church for action. 16. Members who can not from any cause attend the church meetings, are expected to write to the church at the regular times for observing the Lord's supper. 17. These rules may be amended, but notice of the proposed change must be submitted at a regular meeting at least one month previous to the time the vote is taken. The privilege of membership in the church of Christ is a great one indeed. The church furnishes a safeguard against the temptations of the world when its privileges and obligations are understood. Having the associations of the people of God, and hearing the gospel preached is a great comfort. That this priv­ilege may be continued and enjoyed, certain obligations are assumed by those who become members of the church. The church could be of no benefit to the members, nor to the world, if the members did not meet together, hence arises the obligation of attendance at the regular meetings of the church. Paul gives a rule that should be observed by all the members of the church-"Not forsaking the assembling of ourselves together as the manner of some is. "-Hebrews 10:25. Neglect of this duty is discouraging to the church and pastor. We should consider that it is a service we owe to God, and when we are "making" excuse for staying away we should think that before the excuse is a valid one, the Lord who knows the very thoughts and intents of the heart, would have to approve of it. This searching test, "Would the Lord excuse me?" ought to be ever before us. We may be tempted to stay away because of what some one else has done or has not done. But are we justified in treating the service of God with contempt because of what anyone in the world does? We are not serving men, but serving God, and what we do should be done as unto Him and not as unto men. This is a matter of so much importance that the church is justified in requiring its members to attend the meetings, or have justifiable grounds for staying away; and if members have the right feeling about it, they will be willing to let the church pass on their reasons for missing the meetings. It is the duty of members to be thoughtful of one another. We should think more of the members of the church than we do of the people of the world, and we should show it in our ac­tions. If one of the members is sick, other members should at once show their love and kindness by doing what may be needful to be done for the comfort of the sick. Jesus showed a sympathetic nature, and helped and comforted the sick. They were glad to see His face and hear His voice. His followers should walk in His steps. Let the sick see your face and hear your voice and feel the willingness of your hands to help them. The members of the church should be careful to look after the poor. Though it is especially the duty of the deacons to relieve the immediate needs of the poor, it is the duty of every member of the church to be thoughtful in this direction, to keep the deacons supplied with funds when there is need, and then to give personal attention to the poor, that they may not feel to be neglected. The Master was Himself very tender to­ward the poor, and we can not feel that He would at all approve our course if we neglect them. The members of a church should be very loving and kind toward each other. They are brethren, and they should treat each other as the members of one family. This will require that they be forbearing, for there are none perfect. Should we re­quire perfection of others it would be more than we are able to give in return, which would be very unkind of us, for we should do unto others as we would have them do unto us. We should be forgiving, because we shall need to ask others to be forbear­ing and forgiving toward us. And especially has the Master laid this upon us, for He teaches His disciples to pray to be forgiven, even as they forgive others.